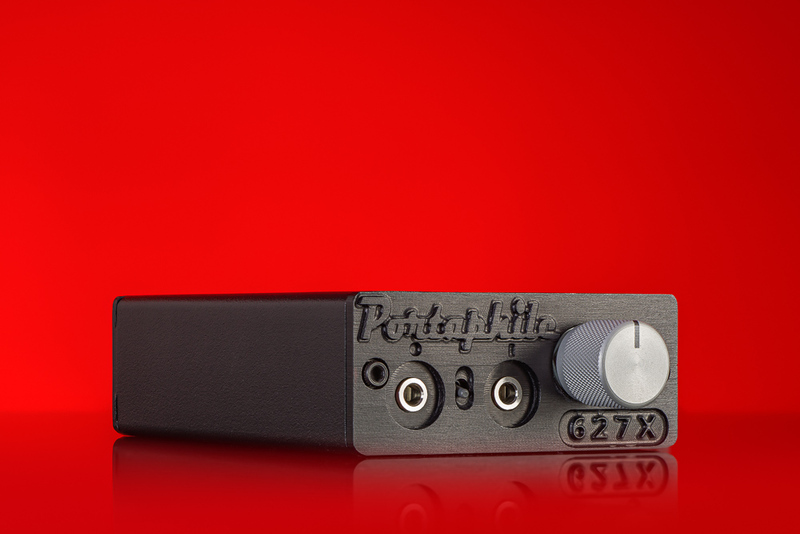 The Portaphile MICRO is a smaller version of our highly regarded original 627 portable headphone amplifier. 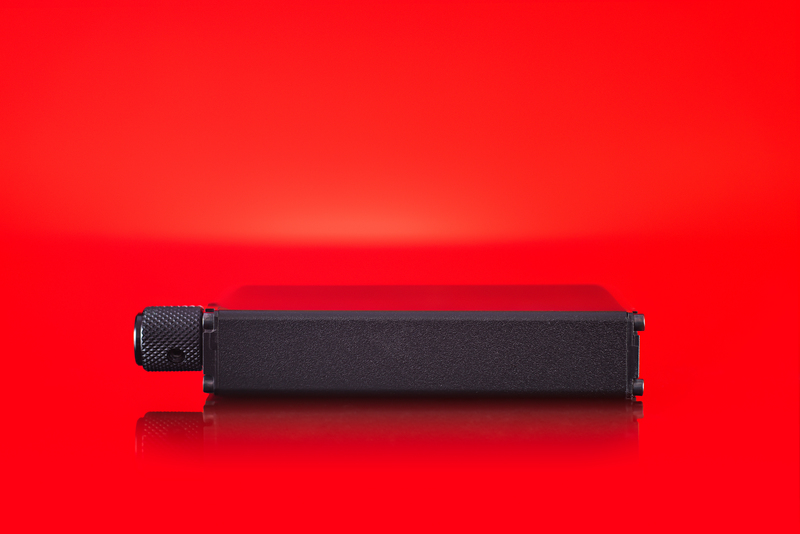 The original 627 was widely considered one of the top performing portable headphone amplifiers available. I decided to make two changes to it, make it smaller and offer USB charging. 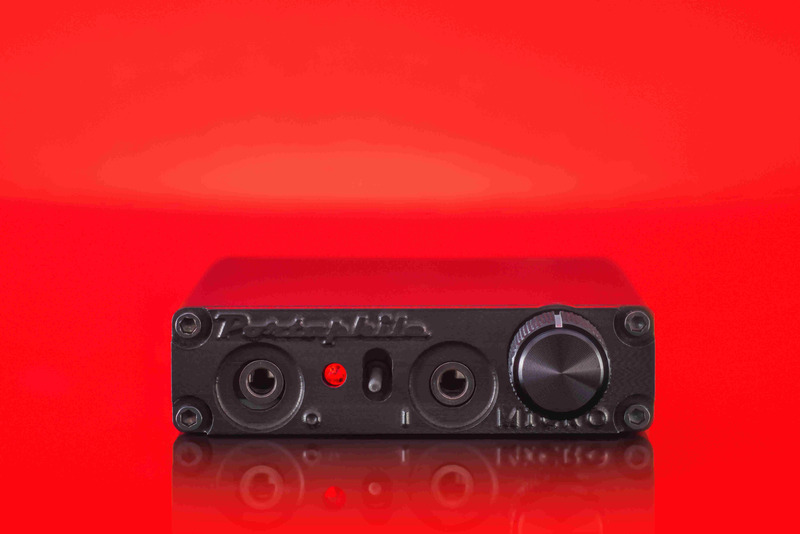 The MICRO measures just 3.49″L by 2.6″W by 0.71″H excluding the knob which adds another .62″ to the length. I also decided to upgrade the cosmetics by milling the front and back panels. Each panel is milled out of a quarter inch solid block of aluminum and takes between 3 to 4 hours per panel. The milling work in each amplifier alone is about 6 to 7 hours. The panels are then shipped out to get Type 3 annodized in black. Type 3 is a hard surface that resist scratches. As you can see from the pics, all of the lettering is milled and isn’t silkscreened on. The rest of the case has a nice powder coated finish that is friendly to stacking. 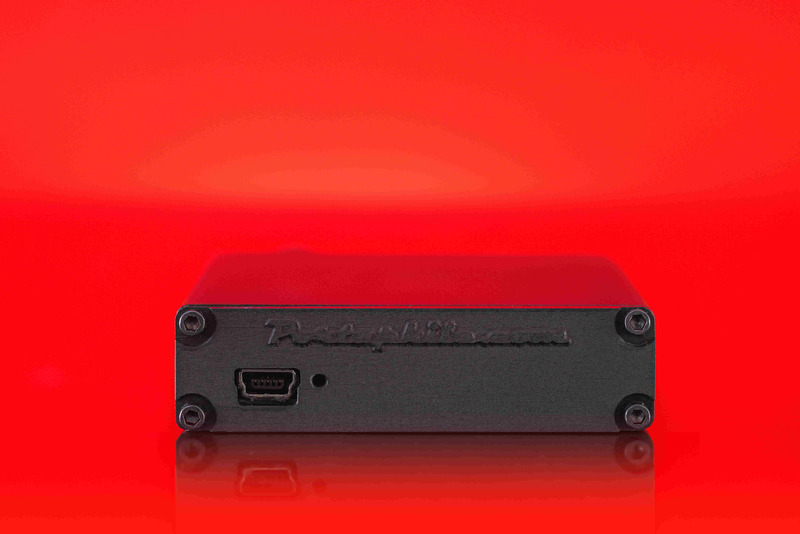 Once you get past how nice the exterior is, the inside is what truly makes a Portaphile amplifier live up to it’s name. The front end are 2 Burr Brown OPA627BPs(standard) and one OPA627AP and are followed a total of 6 Burr Brown Buffers (2 per channel). Reviews can be found here. 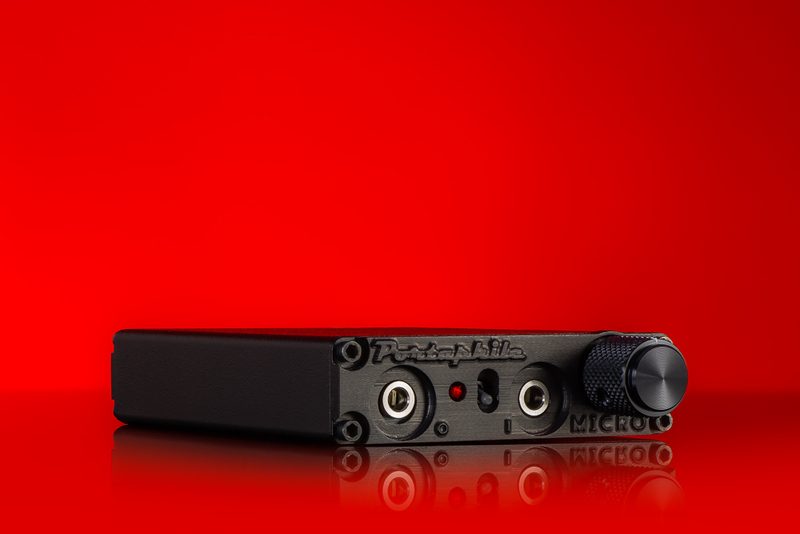 The Portaphile MICRO now comes standard with the higher end version of the OPA627, the DIP sized OPA627BPs! I have found these opamps to bring the performance of the MICRO to a whole other level by increasing the detail retrieval and better sound staging. This is my favorite opamp in the MICRO and is the reason I am now making it the standard configuration. For a pretty accurate review of the OPA627BP and comparisons vs other opamps, please visit this page. Please email me anytime if you have any questions. I will look forward to hearing from you. Ships in 10 to 14 days from the time you place your order.